Does Everything About Your Nanny Check Out? When Laura first hired a nanny to care for her toddler and infant, she was pressed for time. The woman she hired was a referral from her previous nanny. Because she was in a hurry and thought it was a temporary situation, she rushed into hiring her. Yet the longer that Laura and her nanny, Angie, worked together, the more Laura began to feel unsure about her. It was nothing she could put her finger on, but it drove her to start asking questions. Recognizing that it might be challenging to get two children up the hallway stairs to her apartment at the same time, Laura asked how Angie managed to do it. Angie innocently told her that she took the toddler up to the top of the stairs, left her there unattended or restrained in any way, then went back down to fetch the other child. Laura and her husband were shocked. How could someone who seemed so nice and experienced have such a lapse in judgment? Suddenly Laura realized that in haste, she hadn't asked for or checked Angie's references. Luckily for this family, no one was hurt. But this serves as a reminder that when hiring a nanny, it is essential to check and verify references. After owning and operating a traditional nanny agency for more than 10 years, we've discovered that checking references is the single most important thing parents can do - even more so than running a nanny background check. Look for things that don't match up. Have the nanny fill out the application from your Nanny Success Kit (included with Gold and Platinum memberships) so that you can gather basic information about her work experience in one place. Then compare the information that the nanny provided to the information that her references supply. Ask both the nanny and her previous employers why she left her last job. If the reasons do not match, it could be a red flag. Embrace your judgmental side, especially if something feels even slightly wrong. Now is not a time to ignore what your gut and instincts tell you. Use your head, not your heart. If you have a spouse or partner, one of you should do the initial phone interview and the other should check the references. That way, when reference-checking, you won't be influenced by emotions. Instead of asking a previous employer a yes/no question ("Is she concerned with safety? "), ask open ended questions so that you can gather as much information as possible ("How was she with safety issues?"). 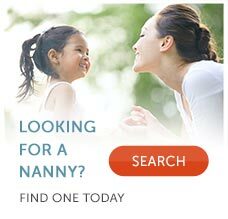 Do a nanny background check. 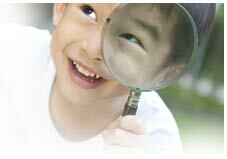 Finally, before making your hiring decision, conduct criminal background checks on the nannies that you are seriously considering for hire. A free background check is included in Platinum memberships and additional checks can be purchased by all levels of membership for $49. The bottom line is that the more you know about your nanny candidate, the more informed and educated your hiring decision will be.